An Tairseach has a range of facilities suitable for individual and groups that can be rented on an hourly, half day or day long basis. A 10% discount is offered to use by community and voluntary groups. The conference room measures 8.65m x 8.3m and can seat up to around 50 people in rows. There are 17 chairs that have writing tables attached. 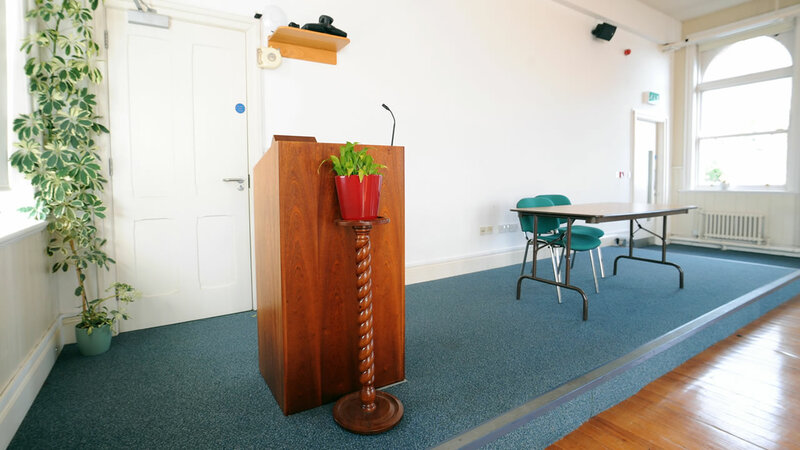 The conference room has full, top of the range, audio-visual facilities and a stage and podium for speakers. 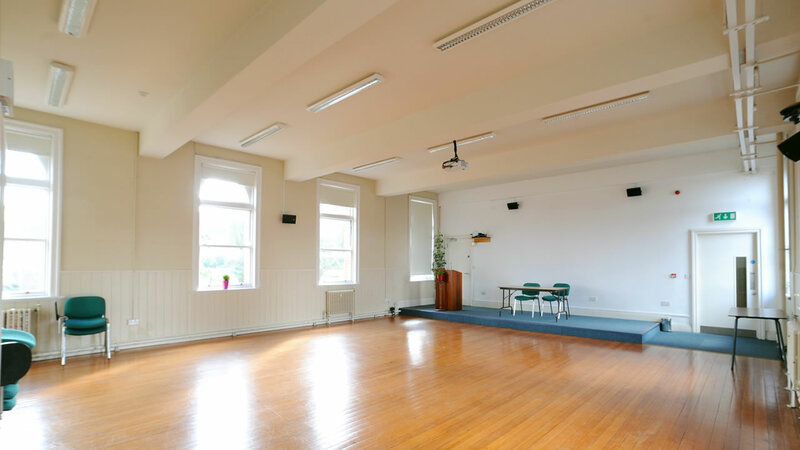 This room is a large, bright room and is perfect for talks and workshops as well as physical activities such as yoga, pilates and dance. The room is flooded with light when the blinds are up and has beautiful views over the organic garden. This room has a calm and tranquil atmosphere. There are chairs for 20 people and beautiful views over the organic garden. 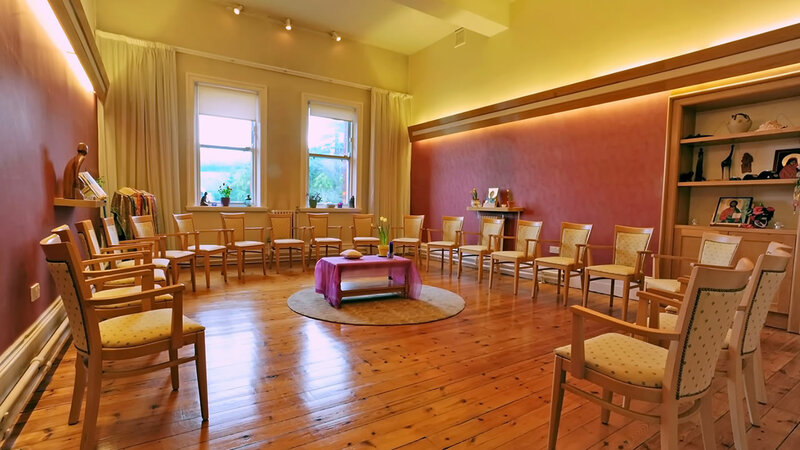 This room is perfect for meditation, mindfulness or quiet, contemplative workshops. This room measures 8.7m x 5.5m and hosts a comprehensive library of books related to Ecology, sustainability and the Universe Story. 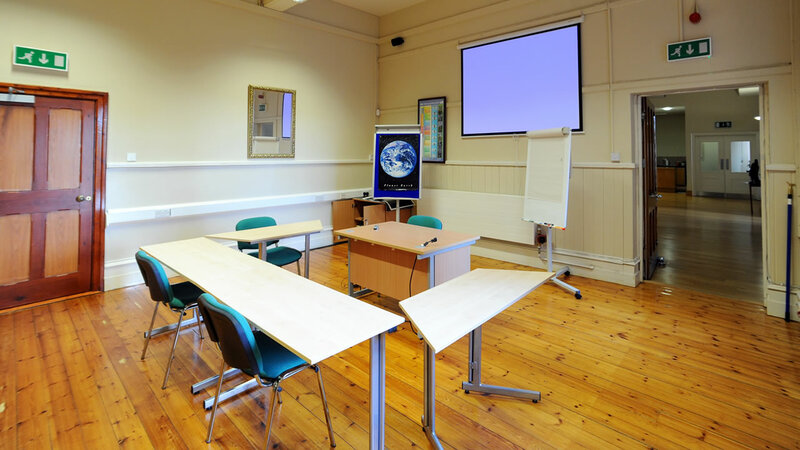 The room has full audio-visual equipment and can be arranged to suit your needs. There are 12 moveable tables that can adapt to different group sizes for meetings and workshops. The room will seat approximately 30 people if chairs are placed in rows. 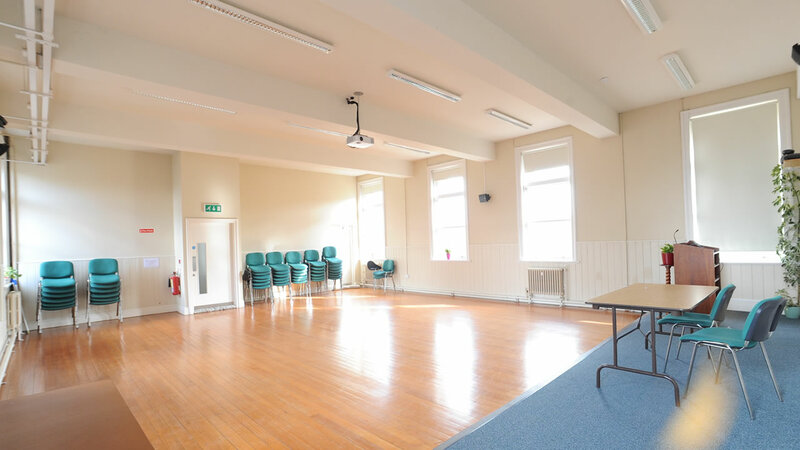 This room is ideal for meetings and smaller workshops. The large reception area is the perfect place for refreshments as a break from your workshop / meeting. 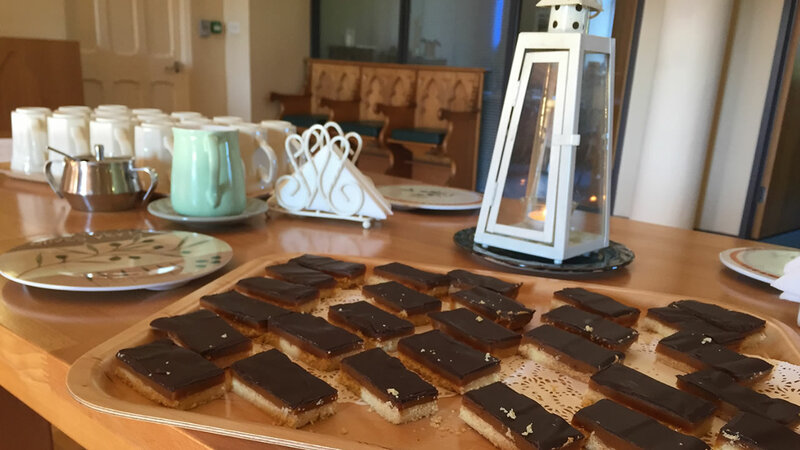 There is seating around the periphery of the room and fresh tea /coffee and homemade snacks can be made available for your guests on the centre table. 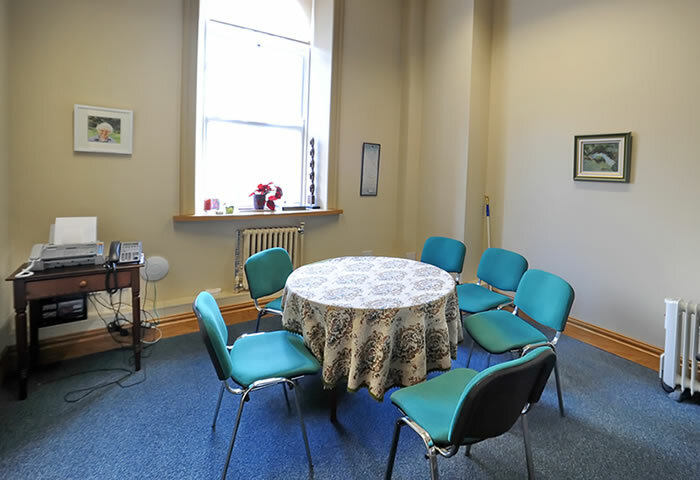 This is a calm space, ideal for informal discussion between sessions. 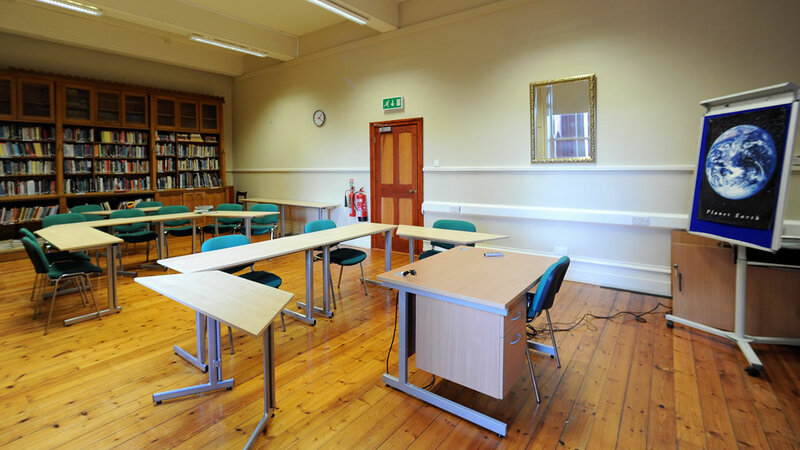 This is a smaller meeting room, ideal for interviews or meetings with just a few people. 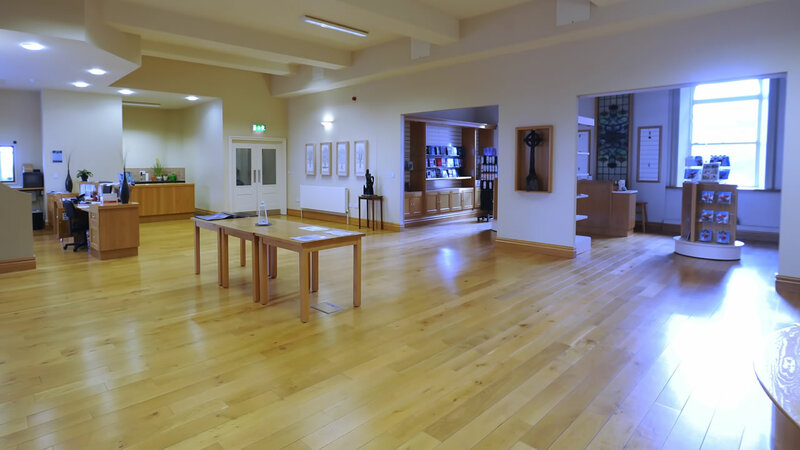 The room is located just off the main reception area. 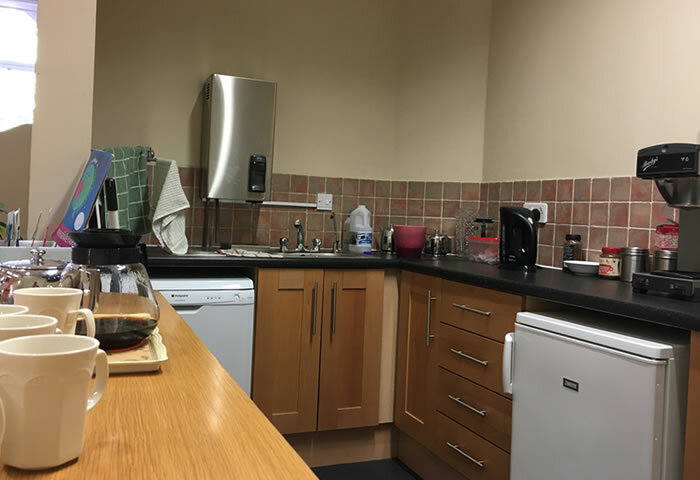 The kitchenette is attached to the main reception area and has facilities for making tea and coffee. This area is available for groups who wish to cater for their own refreshment requirements. 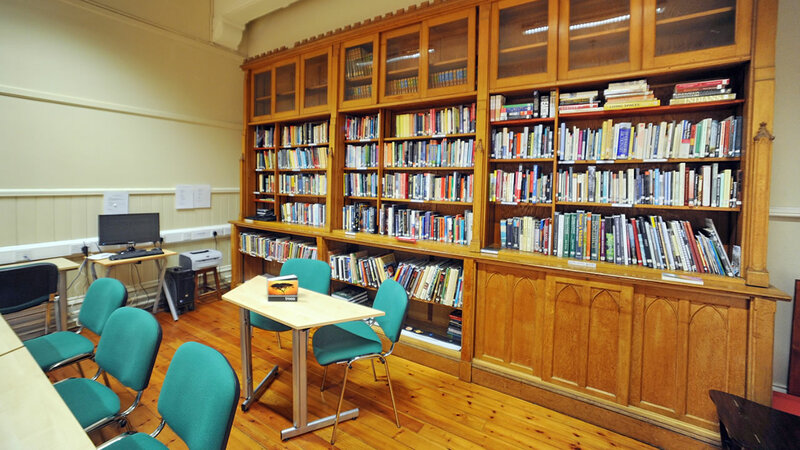 €20 per day (please bring your own tea / coffee / milk / refreshments). The dining area can seat up to 40 people and can be laid out as tables of 4 or as a larger table for groups. During the summer, the back doors open out onto the decking area where guests can choose to sit outside and enjoy the views of the organic garden. 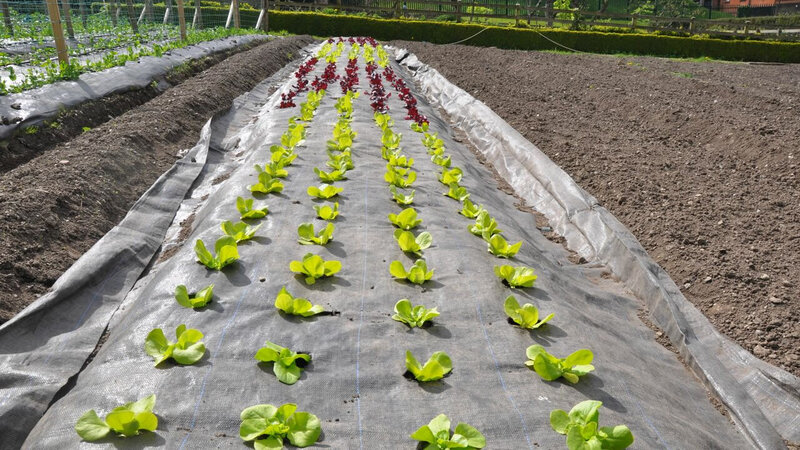 At An Tairseach we pride ourselves on our food which is prepared as much as possible from fresh and seasonal produce from our farm. 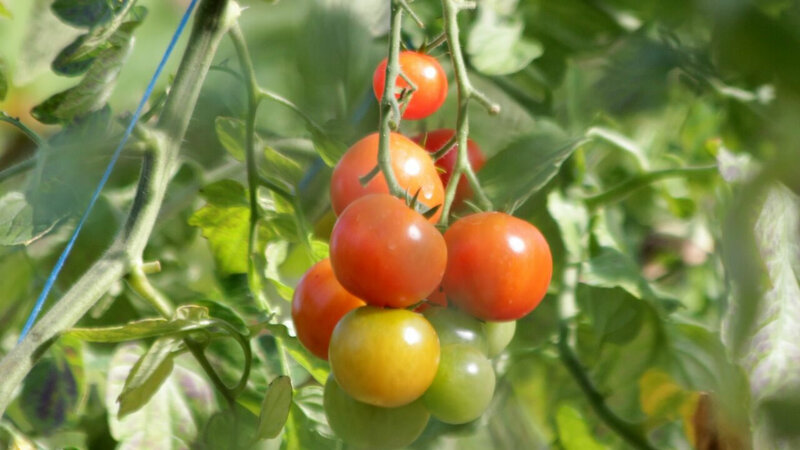 Meal times consist of one set menu which is prepared according to the produce that is available and in season. Vegetarians / vegans and allergies can be catered for if requested in advance. Unless otherwise arranged, lunch is served at 12.30pm and dinner is served at 6pm. 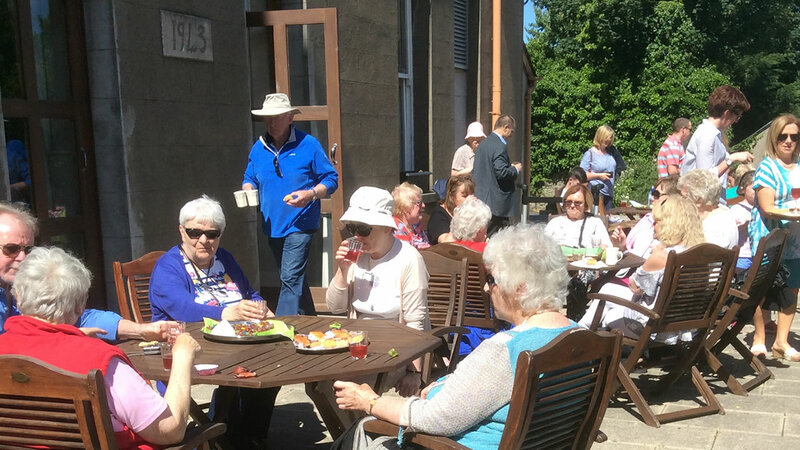 The dining area can also be rented as a space for eating packed lunches for groups wishing to bring their own lunch. Full lunch / dinner: Main course, vegetables, salads, desert and tea / coffee – €20 per person. 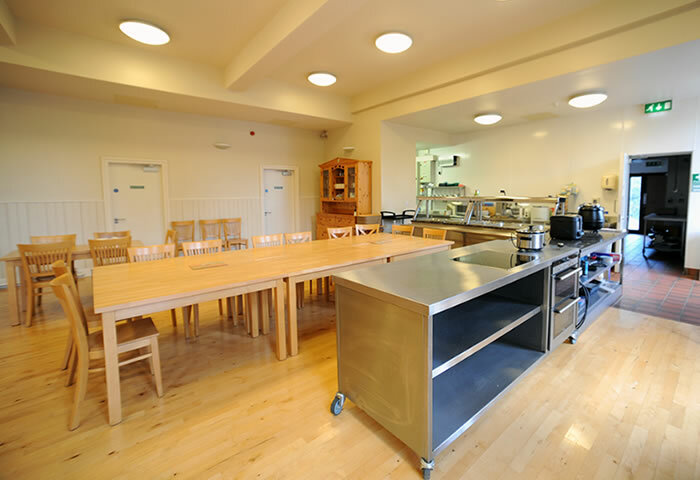 In the dining area we have a demonstration kitchen which can be rented for food workshops / demonstrations. The demonstration kitchen has an induction hob and electric oven and plenty of work surface. 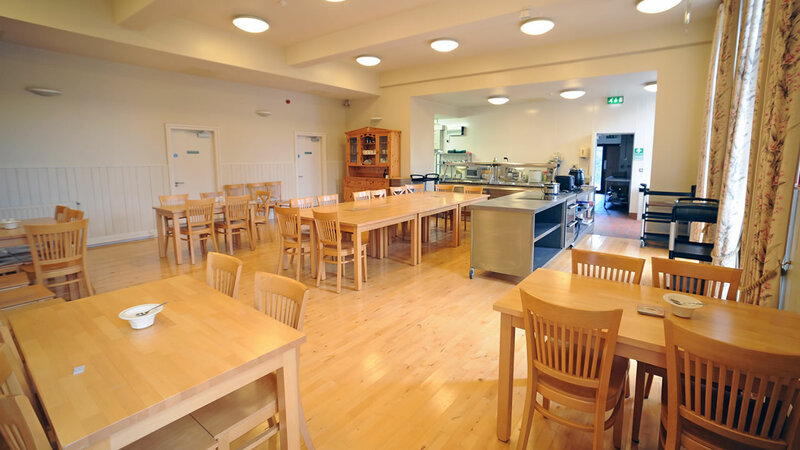 Chairs / tables can be arranged around the demonstration kitchen to suit your needs. 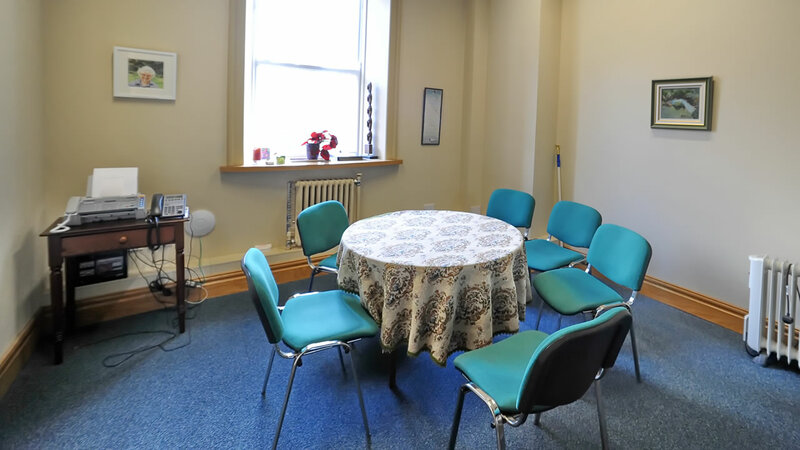 An Tairseach’s treatment room is perfect for those offering complementary therapies and talk therapies. Situated in the basement of the Centre it has plenty of privacy and contains a sink, plinth and comfortable two-seater sofa and chair. Available during day time hours, Monday to Friday only. €60 for a full day. 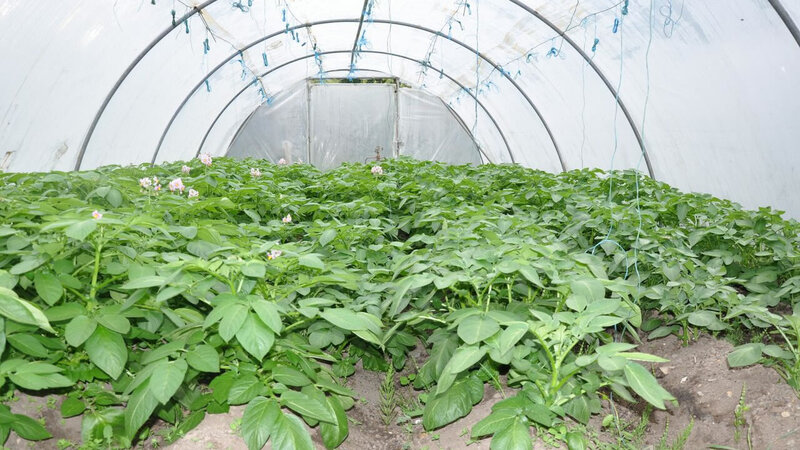 An Tairseach’s organic garden displays a wonderful array of vegetables being grown from seedling, according to the season. 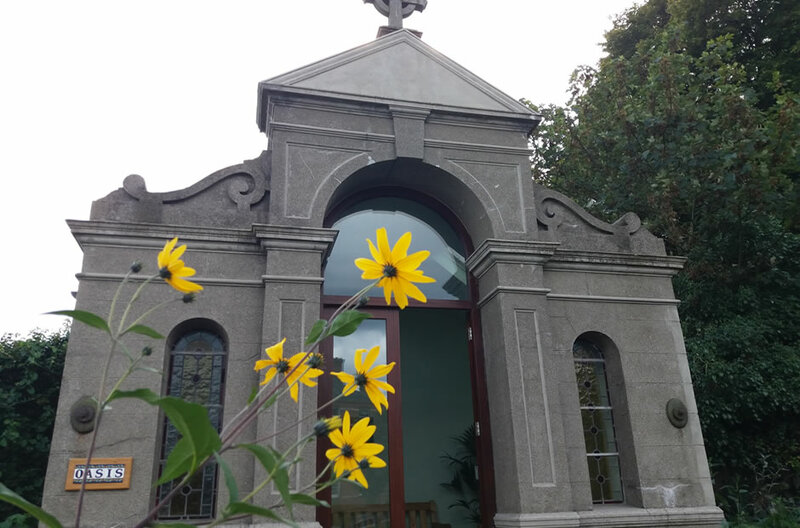 At the top of the building ‘the oasis’ is a restored oratory and provides a contemplative area of shelter within the garden environment. Within the garden there is also a peaceful graveyard, a rose garden and an orchard. The cosmic garden provides a visual experience of the 13.7 million year story of the Universe and a self-guided leaflet for this can be obtained from the Ecology Centre Reception. 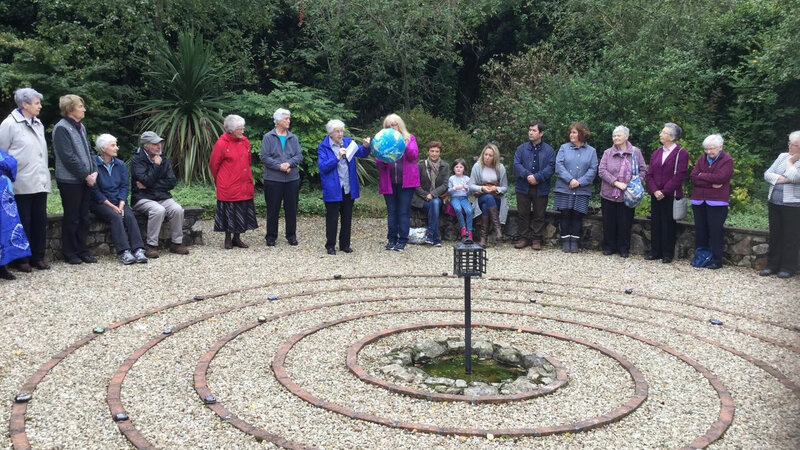 Residents and visitors to An Tairseach are welcome to enjoy the peace and tranquillity of the garden in their own time. Oasis – a place to step inside away from it all and enjoy the views and tranquility of the gardens. 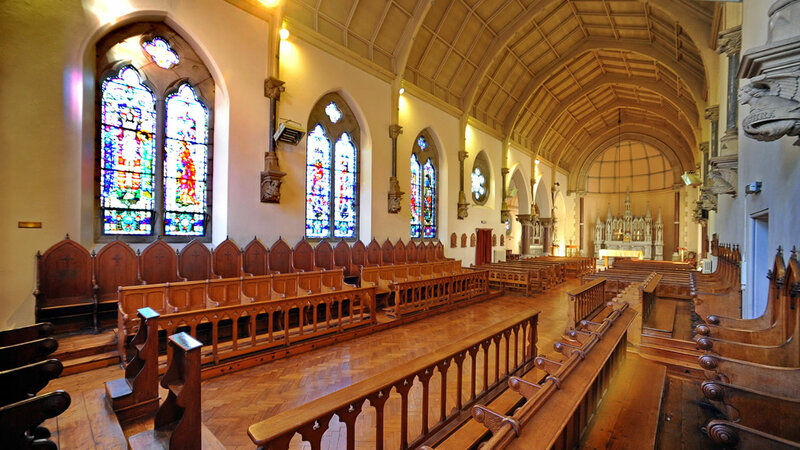 The Dominican Convent Chapel was built in 1906 and is neo-Gothic in style. The builder was Ned Kane a local man from Wicklow. Tucked away upstairs one would not suspect the beauty and grandeur of such a hidden gem in the midst of Wicklow Town. There is a fully-functioning pipe organ, seating for approximately two hundred people and the tall ceiling facilitates beautiful acoustics. There is also a simple sound system. The interaction of light from the beautiful stained glass windows*, the mature wood, the strength of presence of polished granite, along with the absence of any noise pollution combine to create a natural place of beauty and harmony. It is the perfect setting for special events. The Chapel has been used in the past for praying and praising the God of all creation. 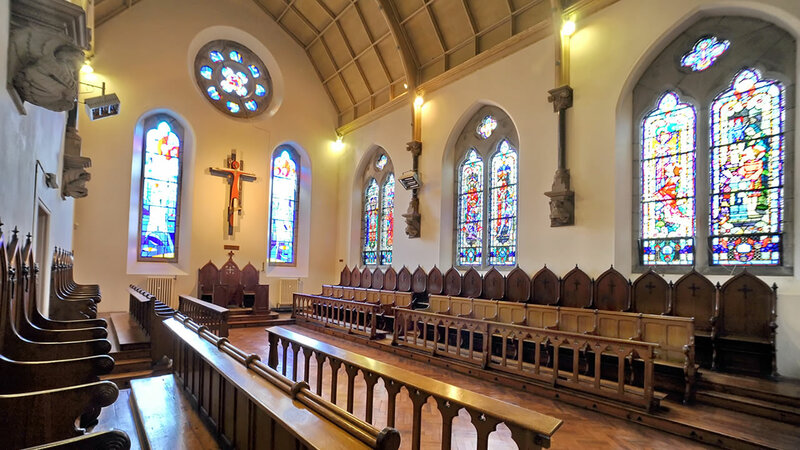 More recently it has been used by the following groups: Wicklow Choral Society; Avondale Voices Community Choir and the Dominican College. 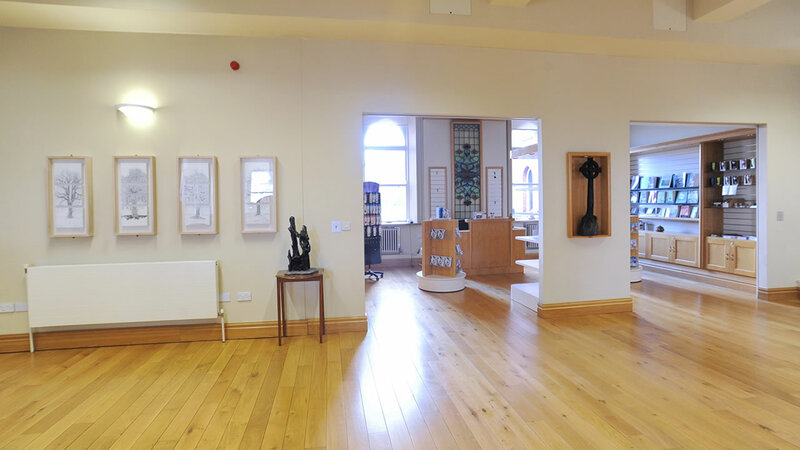 Events have included: Culture night and some Wicklow Art festival concerts. 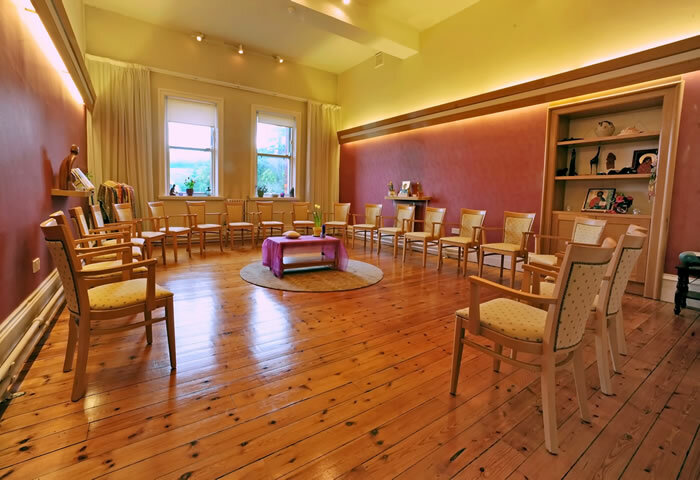 Retreat groups and individuals simply taking time-out continue to enjoy this beautiful space. 1965 The Rose window in the Sanctuary was designed with a Eucharistic motif. Cost: Please contact us for information on availability and cost.